3 bed 3 bath single family home in Stapleton. 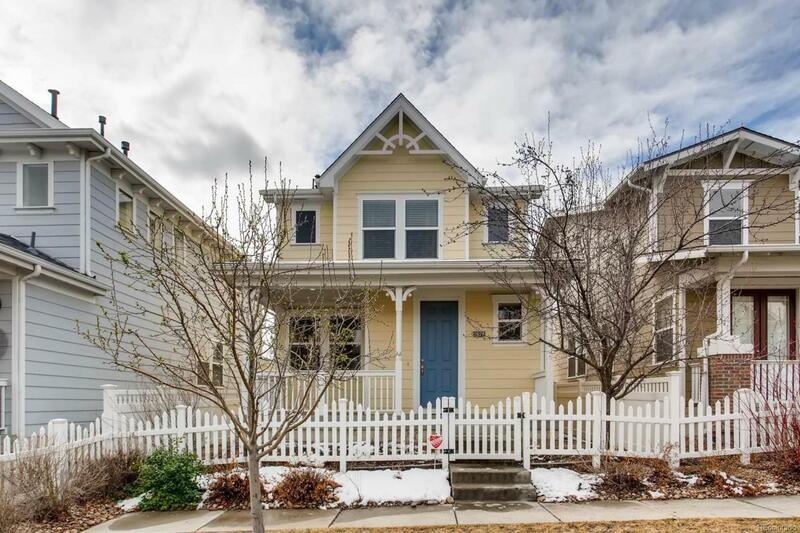 Youll love the Victorian style home with its inviting front porch, low maintenance yard and open floor plan.The main level is flooded with light from its many windows. It has a gas fireplace and large dining area. The dining and kitchen have solid oak floors and oak cabinets. Granite countertops and black appliances. Then 2nd level master suite gets tons of light from the south facing windows, has ample closet space and a en suite bathroom. The 2 additional bedrooms share a large jack and Jill bath. The 2nd level laundry room makes doing laundry a simple task. This Stapleton location is close to everything Stapleton has to offer. Offered by Social Real Estate Group Ltd.